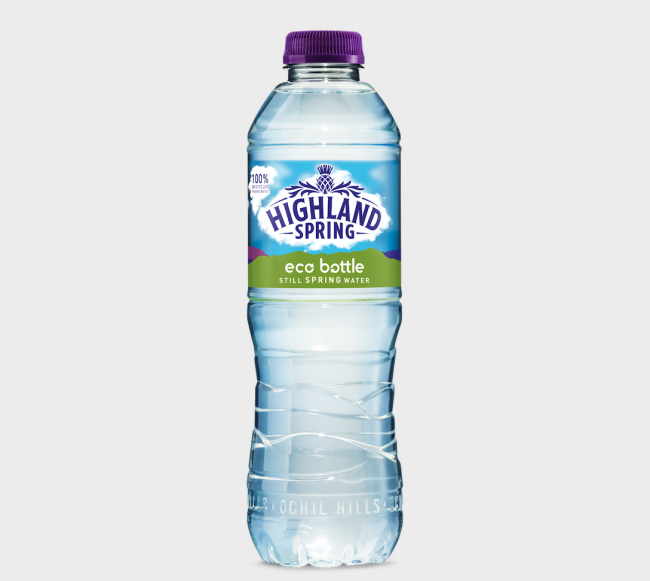 Highland Spring has responded to popular demand by making a 100% recycled* and recyclable plastic eco bottle a permanent hydration choice in 2019. Following a hugely successful 2018 trial, the Highland Spring eco bottle™ will launch this month with a nationwide retailer roll out. The major roll-out follows a hugely successful trial conducted last June. The results showed that shoppers responded well to the 100% recycled* plastic eco bottle, with no negative reaction to the appearance of the recycled plastic and a willingness to pay more for recycled material. • 30% of shoppers who bought the eco bottle cited support for the environment as the main reason for purchase. • Only one in 10 shoppers noticed a difference in the eco bottle as a recycled material. • Even when shown the eco bottle alongside a standard 100% recyclable Highland Spring bottle, only 35% of shoppers noticed a difference in its appearance. • Six in 10 consumers claim they would be happy to spend more on the eco bottle, with the majority believing a 5p increase would be fair.